OXFORD, Miss. 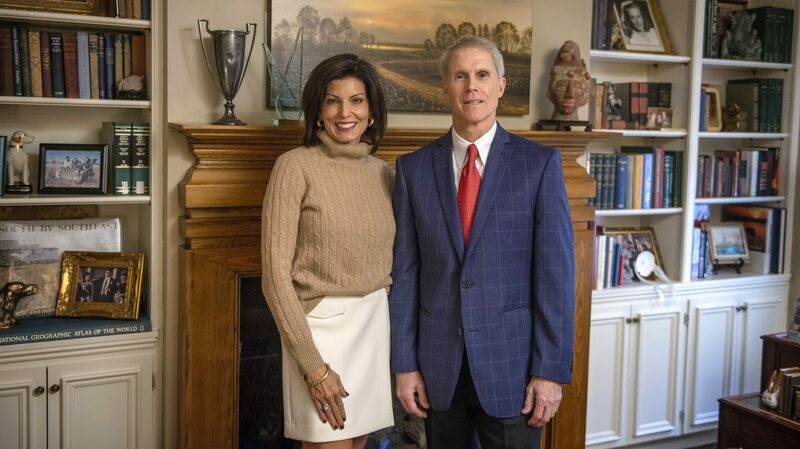 – Sanford and Susan Thomas, of Memphis, Tennessee, have made a gift of $50,000 to the University of Mississippi, establishing a faculty research award endowment in the College of Liberal Arts that reflects the value they place on academics. The Sanford and Susan Thomas Senior Professor Research Award Fund will provide annual support and recognition for senior faculty members in one of the university’s social science departments. A Greenwood native who serves on the College of Liberal Arts Advisory Board, Sanford Thomas graduated from Ole Miss in 1978 with an undergraduate degree in psychology. Susan Thomas majored in business administration at the university. “We both had great experiences with attending Ole Miss, and we felt like it was a good time to give back to the school,” Thomas said. Recipients of the Thomas Research Award will be chosen from the departments of Economics, Political Science, Psychology, Public Policy Leadership, and Sociology and Anthropology. The award will be given to faculty members to recognize continuous exemplary performance in research and scholarship at the national and international levels, said Charles Hussey, associate dean for research and graduate education. “As a Carnegie R1 highest research activity university, it is important that we publicly recognize and reward our most productive faculty for their sustained efforts in research, scholarship and creative achievements,” said Lee M. Cohen, dean of the College of Liberal Arts and professor of psychology. The Thomas Award augments existing awards the college presents in the natural sciences and mathematics and the humanities and fine/performing arts categories. Each award recipient receives a $2,000 cash prize, a medal to wear at graduation and a plaque. “Other than a small stipend to those who have excelled in their chosen social science field, the award will hopefully bring attention to my peer group – those professors around my age,” Thomas said. “And perhaps the award will bring in more support toward academics. Tax-deductible gifts to the Sanford and Susan Thomas Senior Professor Research Award Fund can be made by mailing a check with the name of the endowment written in the check’s memo line to the University of Mississippi Foundation, 406 University Ave., Oxford, MS 38655. Contributions can also be made online at http://give.olemiss.edu. For more information about providing support to the College of Liberal Arts, contact Ron Wilson at jrwilso3@olemiss.edu or 662-915-1755.